About three months ago I planned my blog posts through some time in January. This is usually a great idea. In fact, I recommend it to other bloggers so when you have a chunk of time you can bang out four or five posts and then not have to worry about your blog for ages. It’s a good idea. The only problem is sometimes you get to writing a certain post idea and then suddenly you realize it’s no longer applicable. Remember a while back I started using the Chalkboard Method? Remember how much I liked it and how it had done some good for me? Yeah, well it stopped working part way through November. This was in large part because I stopped looking at it, maybe lost faith in it, and also just stopped recording my progress. It didn’t work anymore because I wasn’t using it. If a tool or practice isn’t getting used, it’s not effective for you. It needs to get scrapped. This is what I mean when I talk about spiritual and life practices too – if it doesn’t work anymore, get rid of it. Do something else. There’s no shame in letting an ineffective practice go and trying something else. But what practice should I try? What practice would help me fulfill my intentions? I really like notebooks. Really. I have a collection of journals (a harder thing for me to declutter because it’s a recording of thoughts and ideas according to time in life). In fact, I love stationary. I love the smell of fresh paper, pencils, crayons, and ink. I love the sound of turning pages, of a certain weight, and the way a pen scratches across the surface. I love the way the ink glides across the plain surface, decorating it with ideas. I love the planning and shaping of reality that happens when the pen connects to the page. I was ready to start a bullet journal. For most people, this is a notebook that functions as a life planner. 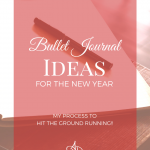 The practice was started by Ryder Carroll and has evolved over time (for the basics of bullet journaling, check out this site). Some people track only a few things in this notebook while others include all aspects of their lives. They can be as simple as basic lists with a few indicator symbols or as complicated as in depth charts, doodles, and purchased decorations like stickers and washi tape. Collections – these are lists of ideas or tasks related to a specific theme such as “100 goals to complete in 10 years,” “Books to read,” etc. Project layouts – these break down specific projects into bite-sized chunks to make them easier to digest. This is good for things like “house renovation,” “launch new ecourse,” etc. 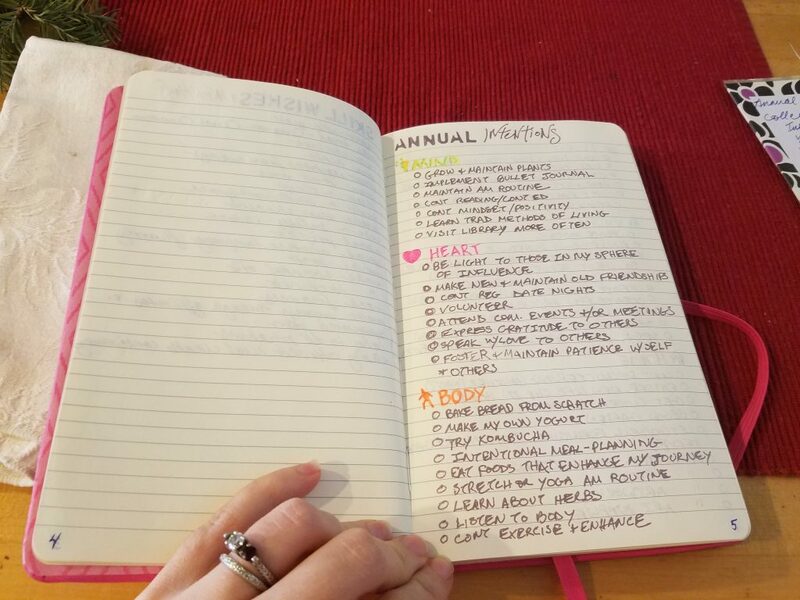 Habit Trackers – these can be separate pages or included in your daily layouts that consist of tasks that repeat such as affirmations, exercise, journaling, etc. For Christmas, I asked for some tools to make my bullet journal happen. The ones I got were a slew of gel pens, 6 metal stencil plates, and some tabbed post-it notes (to those who love stationary, these are exciting things, to those who don’t, practice some empathy and feel excited with me!). I didn’t want to spend $50+ on a planner based on someone else’s idea of what life should look like, so I decided I wanted to make my own. 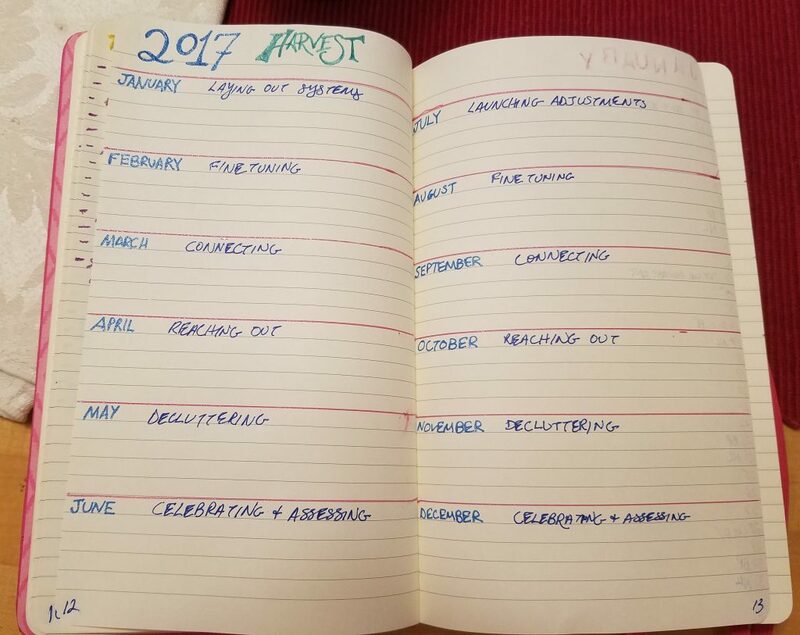 The first decision was whether the journal would be printed (designed on my computer, printed, and then hole-punched, and attached by rings or a binder) or to do it as I go (either looseleaf for a binder or a simple notebook). There are reasons for printed and not. The nice thing about printing all the pages is I can add something easily to a binder without worrying about migrating pages. The other thing is I don’t get a hand cramp from a ton of detail work (which let’s face it, can get out of hand). I can also make it highly customizable, including what kind of paper I use (archival, recycled, etc), dividers, and more. 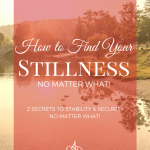 On the other hand, printing requires a lot of ink and paper – and if I want to do it on both sides, I would have to go somewhere to have that done because the printer at my house doesn’t believe in double-sided printing (living intentionally urges me to use both sides of the paper!). Using a notebook is easy. Anyone can pick up a notebook at any store that sells notebooks. There are a ton of options – with different sizes, kinds of paper, colors, and bindings. There are dot grids, graph grids, blank, and standard ruled pages. I could go fancy with a Moleskin, or I could get something really simple like a Five Star single subject spiral. While I can fill out the notebook in any way I like, it does require systems to find information that I put in earlier – I can’t keep lists with lists unless I leave a bunch of empty pages in a list section – and I wouldn’t know how many pages to leave. I could, instead of using a notebook, pick up a pack of looseleaf paper and use it with a binder. This would give me the possibility of customizable sections while allowing me to make pages as I go. I could even use printed elements and loose leaf in a binder. The issue of course is usability. What is the most usable? What layouts will I use? How many collections of lists and special layouts will I have? Should I just get a small multi-subject spiral notebook and see what happens? In the end, I made a run to the local office supply store and found a $5 bright pink college ruled book with a bookmark, elastic band, and pocket. Compared to the stupid pricing of Moleskins (really? $20 for a frickin notebook that cost pennies to make? ), I felt like this was a great compromise. Plus, deep pink is a power color for me, so WIN! That day I immediately began setting up my new bullet journal. Gel pens are not the best for bullet journaling. I wouldn’t recommend them to someone starting out because they smear SUPER easily. That said, I LOVE THEM ANYWAY because they give me versatility that other implements don’t (I like glitter ink and I don’t care who knows!). I may be addicted to bullet journaling. I made 15 pages in 2 days and I can’t wait until the next time I get to use it. I could add this to my spark joy list (ahem…one of my pages…). I’m not sure if the pages are just thin, or gel ink is too thick but the writing from one side bleeds through a little to the other side, which makes it feel a little cluttered. That said, I don’t mind it too much and other kinds of ink don’t seem to bleed through – as I’m using gel primarily for grids, titles, and special lists, I think it will work just fine long term. My yearly intentions as outlined in my blog post. ??? I’ll leave room for other possibilities! I also expect to add drawings, quotes, and artistic embellishments (paper craft). 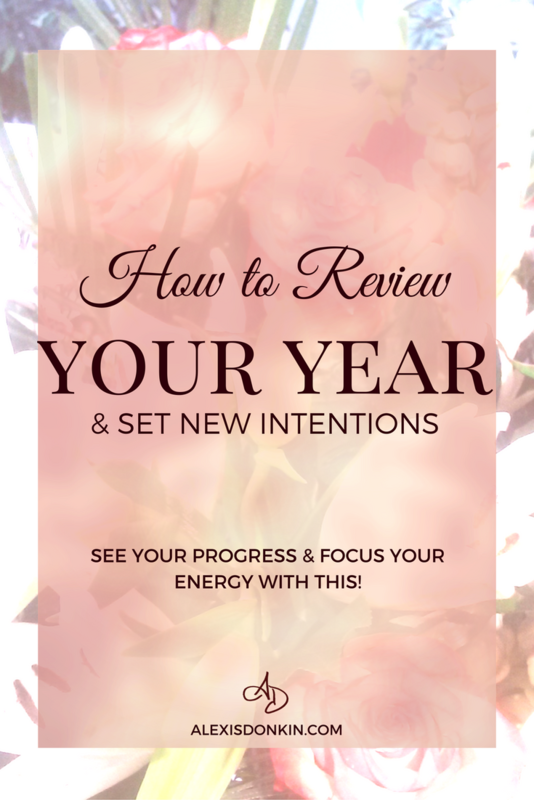 Already I feel like this has helped me visualize my year and has directed some changes in what I want included in my days and weeks. 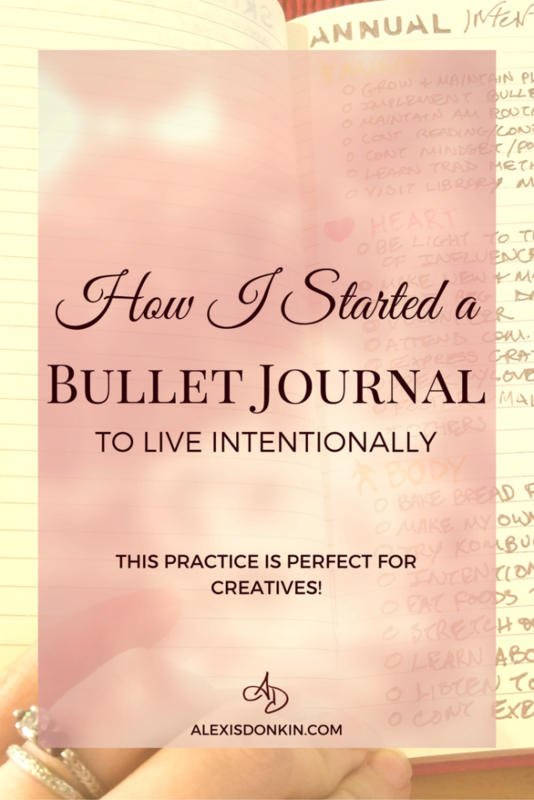 Have you used a bullet journal? How did you like it? Leave me your page recommendations!